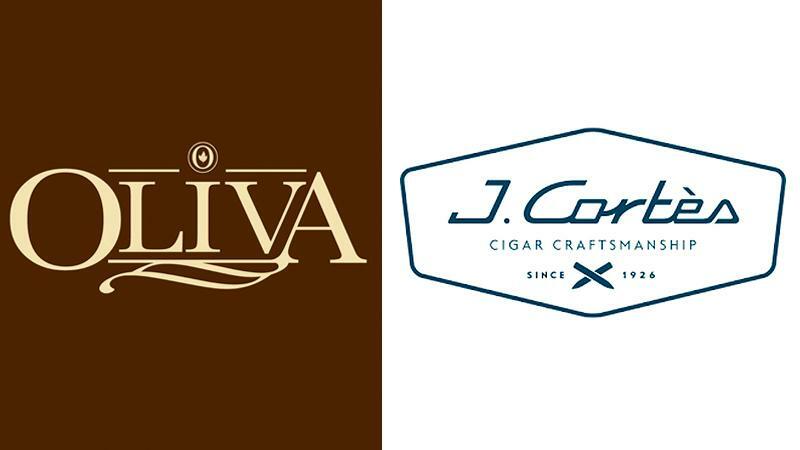 Oliva Cigar Co., the maker of Cigar Aficionado's 2014 Cigar of the Year, has been acquired by J. Cortès Cigars N.V., a private, family-owned business based in Moen, Belgium that specializes in machine-made cigars. Members of the Oliva family will continue to run the company as before, and José Oliva will remain as the chief executive officer of Oliva, which is headquartered in Miami Lakes, Florida. Terms of the deal have not been disclosed. J. Cortès said that the two companies combined would have annual revenues of $100 million. J. Cortès, which had a very limited U.S. presence and only a small, handmade cigar operation prior to this deal, now owns the Oliva cigar brands, which include various iterations of Oliva, NUb and Cain, as well as the factory in Estelí, Nicaragua, where all of the cigars are rolled. The Oliva family is maintaining ownership of its tobacco operations in Nicaragua and Ecuador, which include fields (some owned, others leased) and the harvesting and processing operations. Negotiations between the two companies have been going on for six months, and for the past two years, Oliva has been in discussions with companies about a possible acquisition. Rumors about a sale abounded on the Internet, including at least one erroneous story in May that claimed the company had been sold to General Cigar Co.
"We had never really gotten serious about talking to any company until we met these folks," José Oliva told Cigar Aficionado. The companies met when J. Cortès began making a machine-made cigar for Oliva, which Oliva sells primarily in Europe, called Oliva Viejo Mundo. (The cigars are made by machine using Oliva tobaccos, and range in size from a tiny cigarillo that retails for less than $1 apiece to coronas that sell for about $2 each.) The brand went on sale in 2013. José Oliva, chief executive officer of Oliva Cigar Co.
J. Cortès makes some 500 million cigars per year, most of them European-style cigarillos and all of them with natural wrappers. The company sells to more than 80 countries, but the lion's share of its sales occur in Europe, especially the Benelux region (Belgium, Netherlands and Luxembourg), France, Spain and Italy. The company has an operation in Sri Lanka employing 2,000 people where some of the company's cigars are made, and massive amounts of tobacco are sorted, humidified and stored, then cut and placed on bobbins (which look like rolls of paper) to be sent to the factory in Handzame, Belgium. J. Cortès traces its roots back to 1926, when Maurits Vandermarliere began making cigars in the attic above his Moen, Belgium, cigar shop. In 1936, as demand outstripped the ability to supply from such a small space, he opened a modest factory in nearby Heestert. The company, once known as Ets. Vandermarliere NV, expanded in the 1970s via acquisition. Today J. Cortès is run by chairman Guido Vandermarliere, son of the founder, and his son Frederik, the chief executive officer. "It's quite unique that two family companies can come together. We're proud and happy," Frederik Vandermarliere said in an interview with Cigar Aficionado. "The main goal in the U.S. is to keep Oliva to the level where they are, and really make their brands even stronger than they are. You have to make sure nothing changes." "Oliva Cigars is a fantastic, well-run business with strong brands and plenty of future opportunities. This acquisition allows us to further strengthen both businesses' strategy and to stay focused on brands, people and dedication to great products for cigar lovers," said Vandermarliere. Oliva Cigar Co. (which has no relation to Oliva Tobacco Co. of Tampa, Florida) makes 15 million to 16 million handmade cigars a year, and traces its history back to the tobacco fields of Cuba, where Melanio Oliva started growing cigar tobacco in the 1800s. His grandson Gilberto became a tobacco broker, and eventually left Cuba for Spain, later settling in Central America. In 1995, Oliva and his son Gilberto Jr. founded Oliva Cigar Co., originally making cigars within Nestor Plasencia's factory in Nicaragua before opening their own facility. Oliva's initial expertise in producing bang-for-the buck cigars evolved into making sophisticated powerhouses with the game-changing release of the Oliva Serie V cigar in 2007, which soon earned high ratings from Cigar Aficionado magazine and Cigar Insider newsletter. In the brand's inaugural vertical brand tasting, in a September 2007 Cigar Insider, it had two standout scores, 94 points for the Torpedo and 92 for the Double Robusto. Gilberto Oliva Jr. (left) with Frederik Vandermarliere (right), the chief executive officer of J. Cortès. The company's greatest accolade was winning Cigar Aficionado's Cigar of the Year in 2014 for its Oliva Serie V Melanio Figuardo, a stately cigar that scored 96 points in a blind taste test. The private nature and family-run structure of J. Cortès appealed to Oliva, and both parties stressed that the operation would continue making cigars as it has in the past, without change. "They insisted that we stay on," said José Oliva. "They have a culture of working in their company that is family based. And it's a different set of goals—they're a private company, they don't have to meet certain quarterly figures... They took more interest in how we make the cigars, the consistency of the cigars...These are people who take tremendous pride in what they do." "Their goal," said Oliva, "is to have a prestigious, handmade cigar company that the [Oliva] family will stay involved with and continue to run...Everything continues to operate as it has operated." Oliva will have a board of directors, and José Oliva intends to take a more active role in running the cigar factory, while his brother Gilberto focuses more on tobacco growing. "I think there will be many improvements," he said. "I will take a greater role in production and hopefully be able to streamline and learn from the European methods."